Head honcho. Took no prisoners. Accepted no lies. Yoko was a MACHINE! Big, bad, bossy and damned loud! Yoko was the tallest but skinniest and baldest of the hens when they first arrived. She soon sprouted a great many feathers, and eventually sported the fluffiest bum this side of the Watford Gap. 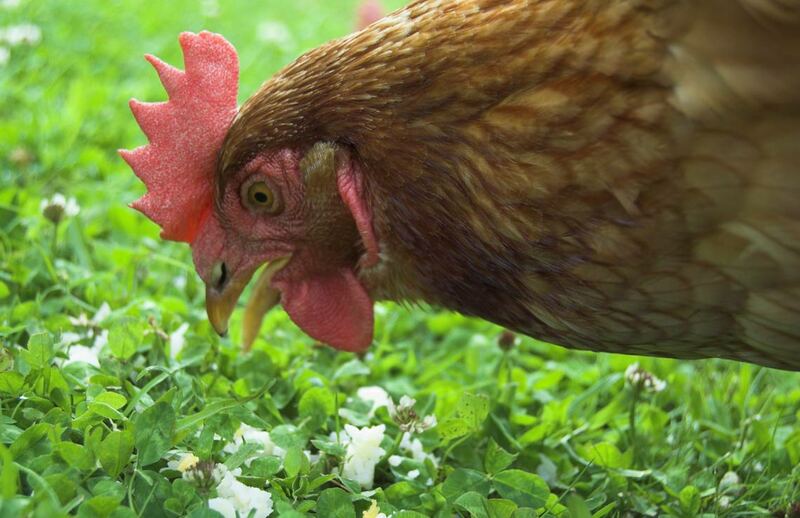 first in line for her favourite meal – a big juicy worm. She was often found shouting at the floor, or nothing in particular. Due to sterile EYP she became a retired layer! A vivacious, wonderfully loud and bright girl that made her mark on us. Maureen was second in command, and although she was subject to a peck or two, she kept the others in line with a more matronly approach. She was the guardian of the group, and although she had to tell the other two off occasionally, she was ultimately very motherly and gentle. 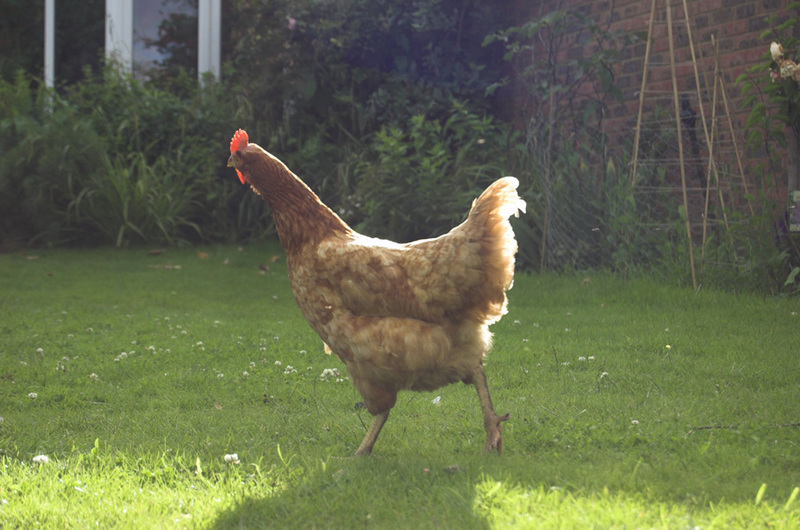 Maureen sported some very elegant tail feathers and was often found performing her ballet exercises. She loved pasta, as well as being rather partial to a few cubes of cheddar cheese. She used to eat plastic bags, but got over that phase eventually! A beautiful, motherly hen that I’ll always remember. Fast, Ninja, Wiggle-bum and she learnt fast from Yoko on what it is to be loud and proud. She would often reply to Yoko’s loud calls, sometimes I think trying to be louder and more tuneful! Cynthia had a small head, but it didn’t fool anyone into thinking she had a tiny brain. 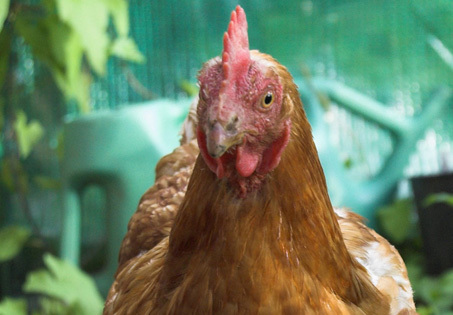 She went from a patchy baldy to a beautiful, glossy-feathered little brown hen. Cynthia loved to run around, and was the fastest worm and fly catcher in the east. Very cunning and a little bit of a daredevil, she was often found jumping up on ‘things’. She always loved jumping and scratching around, and would often tip up all the food bowls so she could scratch her food rather than eat it like all the other girls. She loved shiney things, especially eyes, but due to her super-fast dartability factor, not even Rocky Balboa could catch up with this hen. Cynthia loved pasta and worms, but her favourite snacks were leatherjackets and cockchafer grubs. 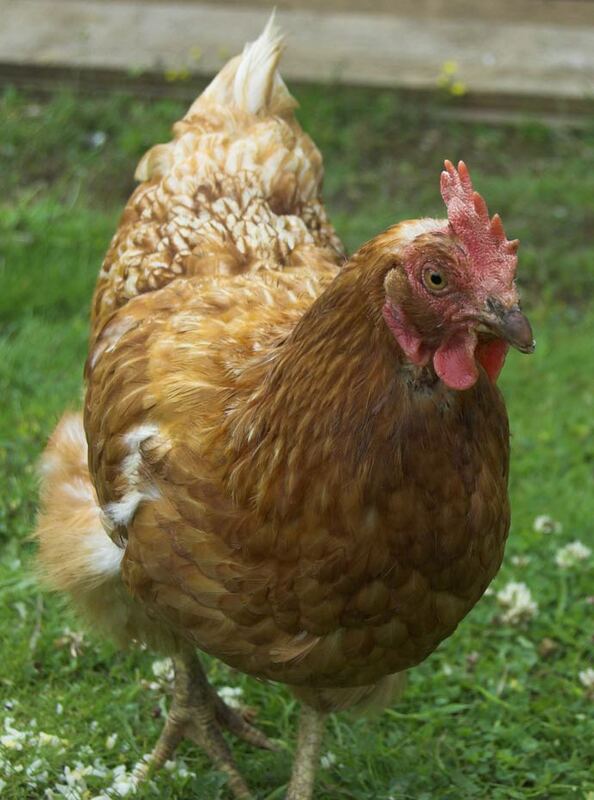 A lovely hen who will never be forgotten, such a funny little character. Pattie was the 4th and final in command. Gentle, pretty, sweet and unassuming, Pattie was the sweetheart of the group. She was an avid dustbather, and was utterly infatuated with running water. Once painfully shy, she became very vocal with anything that disgruntled her. She loved to sunbathe and show off her pretty ankles. Pattie was the guardian of the compost heap, and was always the first to scale the precipice in order to get those tasty worms. Pattie loved strawberries, cheese, worms, pasta and grubs. She laid incredibly long and pointy eggs. Like Maureen, Pattie used to have a taste for plastic bags, but she too got over that phase. Not very a la mode! A beautiful, chatty girl who will also never ever be forgotten.